1. Could the Present itself be a Mouth of Hell– a site, a stoma, a membrane where absence and presence of the Past is painfully mediated? Do we poets stand (in Suzan-Lori Parks’s image) at the Great Hole of History, a grave-like pit where the Dead can be ‘heard’ into presence? Recall that Kim Hyesoon’s Performer of the Abandoned goes down to and returns from this Infernal region; sea-changed by this journey, she is thereafter charged to painfully mediate a Hearing of the dead– to mediate the dead into presence. In Douglas Kearney’s work, the pain of existing at and possibly as the Great Hole of History, of performing this mediation, of being a membrane for pain, creates an ecstatic sonic inflammation. History is time that won’t quit. 3. In our political Present, at this Mouth of Hell, the statues and monuments that ring the Great Hole of History are being pulled down, propped up, veiled, draped, encrusted with bony deposits of Nazi and Confederate flags, white rage, white male bodies, racist violence, smashed cars and flaming torches—as well as fear, dismay, denial, dead and damaged bodies, trauma, the cops, resolve, and righteous anger. Invisibly animating the scene are the hoary customs and legal codes which form a pernicious living shrine to America’s genocidal and racist prerogatives; equestrian statues are merely the material manifestations of these noxious forces. 4. Since Poetry is (like History) made of paradox, it is an apt and very excellent mode (for the Poet who can endure it) for standing at the Great Hole of History, or as the Great Hole of History, for entering into Hell, for returning from Hell, for undoing erasure, for Hearing into Presence the dead and their inverted (because posthumous) survival strategies. Such work entails a new kind of history poem—one that does not build up monuments to, rhetorical stances towards, or Cartesian sightlines on the Past but rather exists as a wound, a vexed summonsing, a charged co-bodying. 5. This new history poem is most brilliantly embodied in Anaïs Duplan’s “An Ode to the Black Brigade of Cincinnati (1862)”. This poem forms a co-body with this historical pain, a shared wound which does not close even when the poem does. The reader who can make herself vulnerable is invited to become continuous with this wound—while painfully negotiating her own sense of distance and/or closeness from its historical moment and present-day ramifications, her own sense of identity with and/or difference from its protagonists and speakers. This instability is key; the poem does not offer one-size-fits-all ‘empathy’, ‘connection’ or ‘identification’ with the historical figures, but it does propose but a radical, precarious intimacy. This radical intimacy runs through all of Duplan’s work; in this case, it replaces the universality/unanimity that shores up most canonical history poems with something more unstable, charged, ambivalent and open. 6. The title of “Ode to the Black Brigade of Cincinnati” alludes to a shameful incident in Civil War history in which a group of free Black men attempted to join the local militia to defend Cincinnati from approaching Confederates; at first rejected for their race, they were, days later, conscripted by the city police force, held in a mule pen, and made to dig ditches and battlements to defend against this same force. Later the group were regularized as a brigade and more freedmen volunteered to join in their efforts. This incident, far from discretely isolated in ‘The Past”, feels continuous through subsequent decades and up to the present, as African Americans and other minority communities attempt to negotiate citizenship in a nation which rebuffs, exploits and harms them. It is this volatile continuity that Duplan’s poem summons into presence. honeybee mounts Joseph and inserts his endophallus, ejaculating. The long lines and stepped, triplet form give Duplan’s poem an irresistible momentum; the reader tumbles along with “Joseph Johns” as the poem keeps itself, like a honeybee, precariously aloft. The persistence of Joseph Johns’ flight is both miracle and horror, his body a site of triumph and damage. The final sentence’s realism punctures and deflates the poem—the ecstatic speaker and Joseph are freeze-framed mid-flight while the ‘Workers’ cannot survive. The sentence entails a long depressing backwards glance towards the historical conditions of enslavement and exploitation which situate the Black Brigade incident, yet the statement is in the present tense, connoting the continuing mechanism of physical and psychic damage and shorter lifespan which mark Black bodies and communities through subsequent decades and into the Present day. 10. The Sublime, elastic energy of Duplan’s “Ode”, its unpredictable, Bataillean economy of inflations and deflations, penetrations and ejaculations, its casting of speaker and protagonist in Protean, contradictory bodies and positions, and finally its non-binary eroticism, which palimpsests genders and species rather than deciding between them, makes for a dynamic reinvention of the history poem. This poem does something truly new, while communicating with sources as diverse in material, tone, language and genre as Kara Walker and Aase Berg. While the final stanza of Lowell’s poem shoves all this shaking, tingling, boiling and rising back into the box of superior disapproval, he can’t unwrite the impulse that has shocked the body of the poem with a current far stranger, anarchic, improbable. It is as if this raw life-force were becoming ecstatic, trying to get outside the rhetorical and generic girders of this history poem which Lowell has erected, to form another kind of body. 12. Late in Duplan’s other fine history poem, “My Heart Like a Needle Ever True Turns to the Maid of Ebon Hue”, the speaker, huddled in a besieged Enterprise office, glances at an ad in which “a man and woman are pictured renting a car, forever”; thus the poem briefly grafts Lowell’s sightlines onto the co-body of a poem at once boiling, shaking, entropic, queer, ecstatic and working in multiple timeframes at once. That is, Duplan’s poem, populated with ‘ex-humans,’ enacts a permanently posthumous, shapeshifting survival strategy, an ‘in perpetuity’ unfolding at once ‘after’, ‘during’ and ‘forever’. Yet its final lines (“We pray a fierce prayer/like two strange fruits in winter.”) assert a profound incipience yoked to and fueled (via Billie Holliday, again) to the most dire of would-be historical erasures. If History is indeed Time that Won’t Quit, this final line seems to presage that Duplan and her protagonists are configuring radical strategies to take this indefatigable History into their own hands. These prayerful, queer “strange fruits” are fierce. They wait like IEDs “for the blessèd break”. 13. Duplan is not only fashioning a new kind of history poem— capacious, queer, wounded and open to the Great Hole of History—but she is also deliberately undoing the canonical history poem in the process, with its univocal rhetorical stance and universalist claims. In breaking open both the historical and literary legacies, she allows a vital, uncanny life/ex-life-force to renovate the body of the poem, to form a (variegated) co-body with all those who come in contact with it. Simply put, her “Ode” and “Heart” are two of the most brilliant poems I have encountered in recent memory. I call them ‘brilliant’ both because I greatly esteem them and because they shine with a piercing glitter; to conjure Bolaño again, they open their eyes in the dark. The Reader, the Poem, and the Great Hole of History. and Waits Like Two Strange Fruits Thru Winter. 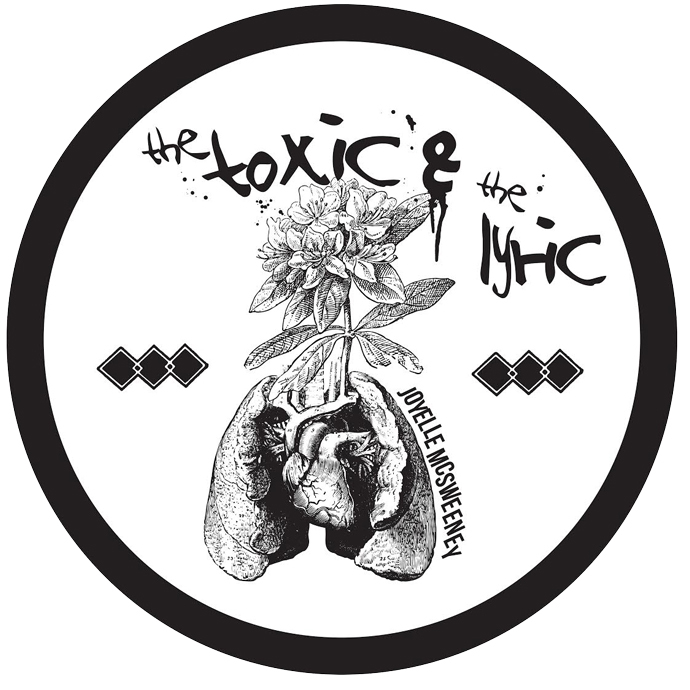 Read previous entries in The Toxic and The Lyric here.